Windows Spy Blocker - набор правил, которые направлены на блокирование Windows телеметрии, базируются они на нескольких инструментах по перехвату трафика. Windows Spy Blocker разгребает свалку трафика каждый день, после сравнивает результаты с текущими правилами для того, чтобы добавить или удалить некоторые хосты или правила брандмауэра. Для перехвата трафика используются qemu -net dump, Wireshark, Sysmon и Proxifier. Папка Data является главной папкой проекта, она содержит все правила блокировки на основе доменных имен или IP адресов, которые были обнаружены в результате захвата. Содержание хост файла по адресу data/hosts надо скопировать и вставить в C:\Windows\System32\drivers\etc\hosts. Автор рекомендует использовать HostsMan для обновления хост файла. Более подробно сможете прочитать на официальном сайте проекта на github. WindowsSpyBlocker is a set of rules to block Windows spy / telemetry based on multiple tools to capture traffic. It is open for everyone and if you want to contribute, take a look at the Wiki. Most malicious content is delivered through the information superhighway nowadays, so its highly recommended to take your security measures seriously. An antivirus solution alone can barely keep up with everything going on, thats why programs like WindowsSpyBlocker want to make things easier by blocking access to potentially harmful domains. The application saves you the time and effort required to go through a setup process, so you benefit from all it has to offer from the moment download is done. This allows you to carry it on a removable thumb drive in case you want to add Firewall rules to other computers than your own. Management options are delivered through a command-line interface, but this gives you little to no accommodation problems, especially because of the detailed descriptions found along the way. Menus are comfortable, and you can always recall menu commands in case they’re out of sight or unsure on what to do next. 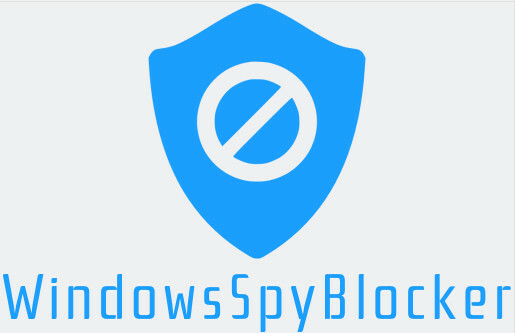 Taking everything into consideration, we can state that WindowsSpyBlocker comes in a lightweight package, delivering a fast, reliable method to enhance the security on your computer. Even though it’s used as a command-line interface, it’s packed with intuitive descriptions, and automatically deploys necessary rules on demand.